The government has rejected Google's proposal to bring its 'Street View' app to India. It had submitted a proposal in this regard asking for the government's permission in July 2015. The tech-giant wanted to cover most parts of India using its 360-degree panoramic and street-level 3D imagery technology. All the data captured would then be tagged and be made available online. Google wanted to cover Indian cities, tourist spots, hills and rivers and had launched street view on an experimental basis in partnership with the Archaeological Society of India sometime ago. This project covered tourist sites such as the Taj Mahal, Red Fort, Qutub Minar, Varanasi river bank, Nalanda University, Mysore Palace, Thanjavur temple and Chinnaswamy stadium. 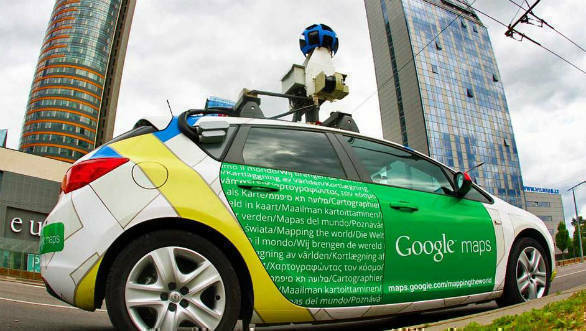 In anticipation of the government's decision, Google had already mapped out over 5,000 cities and six lakh villages. It isn't clear why the government has rejected this proposal but it could most likely be security concerns. Google's street view was first launched in 2007 in several cities in the US and has since expanded to include many more cities and rural areas in the US, Canada and a number of European countries.This technology is featured in Google Maps and Google Earth and provides more detailed panoramic views from positions along many streets.